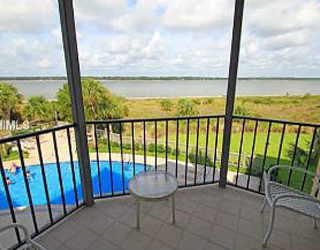 Please send me more information on Long Cove at, Hilton Head Island Thank you. There are currently over 450 homes in Long Cove, with approximately two thirds of the homeowners living here year-round. Privacy and luxury are forefront and only single-family residences are permitted in Long Cove. With elegant stucco and cedar exteriors, many with stone, brick and wrought iron accents, most Long Cove homes enjoy woodland, lagoon or salt marsh views. A handful of stately residences front Broad Creek and include private docks. Homes in Long Cove Club vary in size and architecture, but all adhere to a set of guidelines provided by the Architectural Review Board. Maintaining the natural beauty of the landscape is a priority. As a Long Cove property owner, membership in the Long Cove Club is guaranteed and owners enjoy access to all club golf, tennis, marina, dining and social amenities. There is a significant one-time Transfer Fee when purchasing a home or lot in Long Cove that covers club membership in addition to regular annual fees. Long Cove is one of Hilton Head’s finest south end developments and most residents know their neighbors and enjoy the neighborhood. Golf is king in Long Cove, but certainly not the only activity for residents. Amenities and experiences available to members include fishing - salt water or community lagoons - water aerobics, garden clubs, bridge, book exchange, gardening at the “farm,” a dog park and a playground for children. Golf – The par-71, 7,026 yard Long Cove golf course is a work of art. Designed by Pete Dye and set among 630 acres of moss-draped live oaks, stately pines, magnolias and sweeping vistas of saltwater marsh, the course is consistently ranked among the top in the nation. It is widely hailed as one of Dye’s best creations. In addition, Long Cove hosts the Annual Darius Rucker Intercollegiate at Long Cove golf tournament for the country’s top NCAA teams. Tennis – The Long Cove Club Tennis Center is nestled among beautiful trees and includes eight Har-Tru courts, four lighted for night play, a well-appointed pro shop and a terrace for optimal viewing. Competitive leagues and instructional programs are popular among residents. Marina – Tucked away deep into Long Cove is a “certified clean” private marina affording residents 35 boat slips at no additional charge, 35 kayak slips and 13 community-owned kayaks for residents and guests. Pool, Gardens and Playground - Long Cove Club offers a Jr. Olympic sized pool in a lushly landscaped setting, locker rooms for men and women, an irrigated community farm with complimentary member plots, a dog park, and a children’s playground. The elegant Long Cove Clubhouse recently underwent a $6.4 million renovation and expansion. The clubhouse showcases outstanding Lowcountry artists and décor and features a large dining room, casual grill room, bar/lounge, men and ladies locker room, full service golf pro shop, cart and bag storage. The facility was the winner of GOLF Inc.,’s Clubhouse Renovation of the Year. In 1976, David Ames, Joseph Webster III and Weston Wilhelm created Development Associates Inc., to create a cutting-edge private golf community. At that time, Sea Pines, Port Royal, Shipyard and Palmetto Dunes stood as gated resort and residential communities on Hilton Head, yet most of the golf courses were public. Founded on the principles of private, single-family residential living, removed from resort activities, Long Cove began selling lots in August 1980. The back nine of the famed golf course opened in November 1981, with the front nine following in Spring 1982. In 1985, Long Cove Club was ranked by Golf Digest as one of the Top 20 Golf Courses in the United States. How many active real estate properties are currently listed for sale in Long Cove , Hilton Head Island? Currently there are 37 listed for sale. 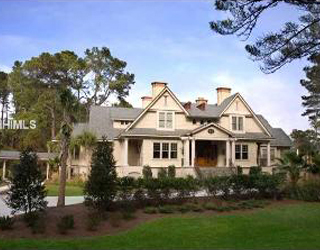 Are there any foreclosures currently for sale in Long Cove , Hilton Head Island? No, currently there are no active listings in Long Cove with a foreclosure status. 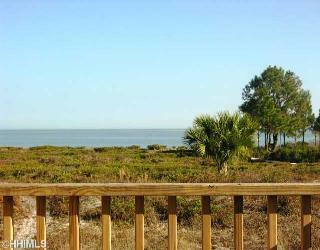 Are there any short sales currently for sale in Long Cove, Hilton Head Island? No, currently there are no active listings in Long Cove with a short sales status. What is the price range and average price for residential homes in Long Cove ? The price range of the 27 listed homes for sale in Long Cove is between 380K and 1,799K. The average price is 723K. Click here to view all residential home listings in Long Cove. What is the price range and average price for residential land and lots in Long Cove ? The price range of the 10 listed land and lots for sale in Long Cove is between 70K and 250K. The average price is 134K. Click here to view all residential land and lots listings in Long Cove. What amenities a buyer should expect to find in Long Cove ? What kind of views a buyer should expect to find in Long Cove ? Small by comparison, with just over 630 acres, Long Cove is located off William Hilton Parkway, adjacent to Wexford Plantation on Hilton Head’s south end. Developed in 1981, and located along Broad Creek on the Intracoastal Waterway, the community was created to attract selective golfers seeking world-class golf and a private club lifestyle. Anchored by a Pete Dye masterpiece, the golf course spent 30 years as a Golf Digest “Top 100 Course” and is consistently ranked a top course in South Carolina. In addition to 24-hour gated security, superb golf and the 84-slip marina, Long Cove Club comprises a Tennis Center, community gardens and children’s playground, as well as year-round fishing, boating and kayaking, all within the gates.